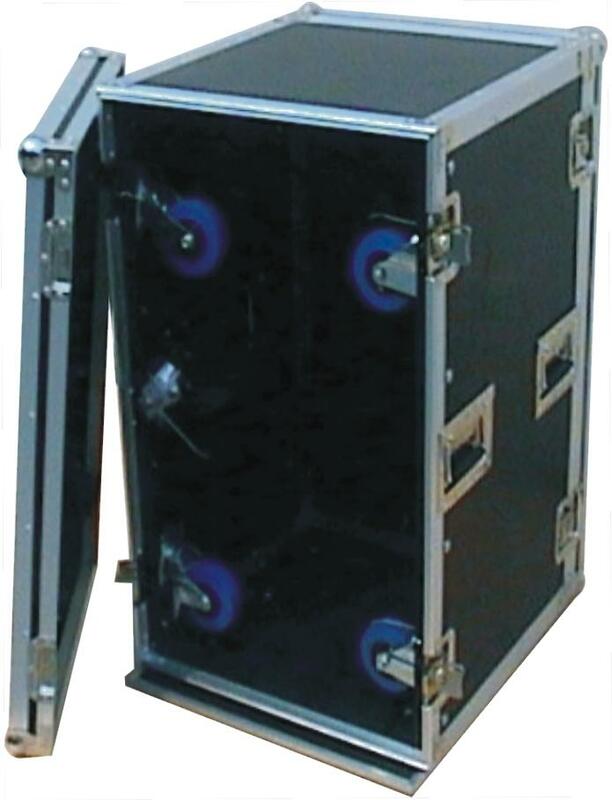 The T-18R-5 vertical amplifier rack case is the perfect storage solution for power amps and other 19" rack-mountable pro audio / DJ gear. With its heavy-duty construction and dual mounting rails your equipment won't dislodge or slip, and strain on the rack ears will be minimized. These professional-grade products also include external spring-loaded handles and butterfly twist latches with included padlocks. Rubber feet ensure stability when stacking multiple units.